Flex Edwards, linebacker on the 1963-1966 DKR Longhorn teams is experiencing dementia and in a rehab center in Bastrop. Or you can e-mail Ida at iedwards@austin.rr.com and she can pass it on to Freddie. 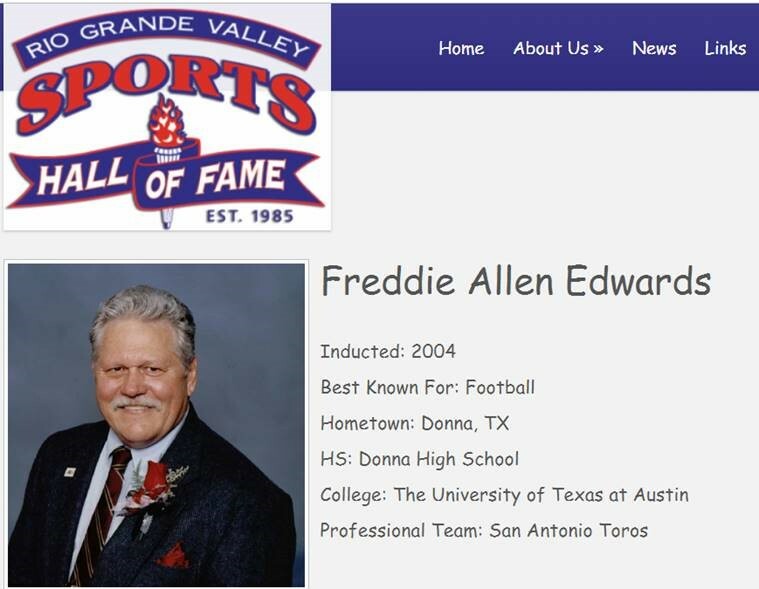 Freddie was inducted in the Rio Grande Valley Sports Hall of Fame in 2004.